Traditional vodka is colorless, odorless and tasteless, allowing it to take on the flavor of whatever it is mixed with. According to the mixology professionals behind the classic "Mr. Boston Bartender's Guide," vodka lovers drink the spirit for its mouth-feel and finish -- both may be subtle or harsh, depending on the brand. Because vodka offers a neutral flavor, you can mix it with any juice you have on hand, but bartenders recommend a few classic combinations. Mix orange juice with vodka to make a classic drink known as the Screwdriver. Pour 1 1/2 oz. vodka and 5 oz. orange juice into a highball glass filled with ice. Stir thoroughly. 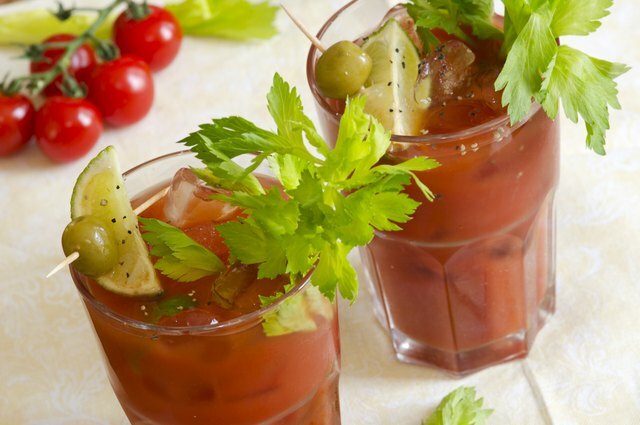 Tomato juice is the base for the Bloody Mary. For the simplest version of this drink, combine 1 1/2 oz. vodka with 3 oz. tomato juice in a cocktail shaker filled with ice. Shake and strain into an old-fashioned glass filled with ice. For a spicier cocktail, add a dash of lemon juice, 1/2 tsp. Worcestershire sauce, two or three drops Tabasco sauce and salt and pepper to taste before shaking it up. Garnish and stir with a stalk of celery. 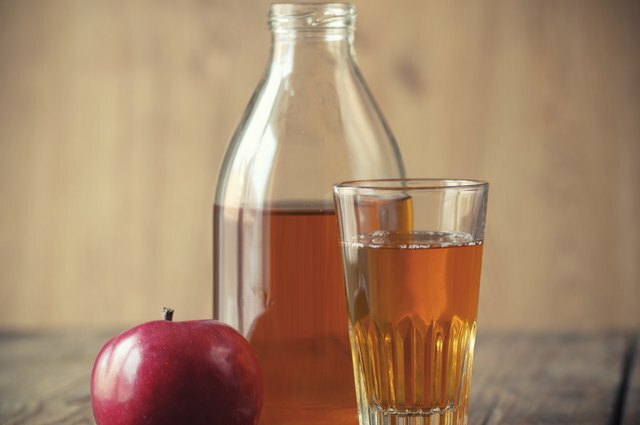 Sometimes called an Adam and Eve, vodka mixed with apple juice offers a light, sweet cocktail. Fill a highball glass with ice and add 2 oz. vodka. Fill the glass with apple juice, and add a splash of lime juice if you want a hint of citrus. Garnish and stir with a stick of cinnamon. 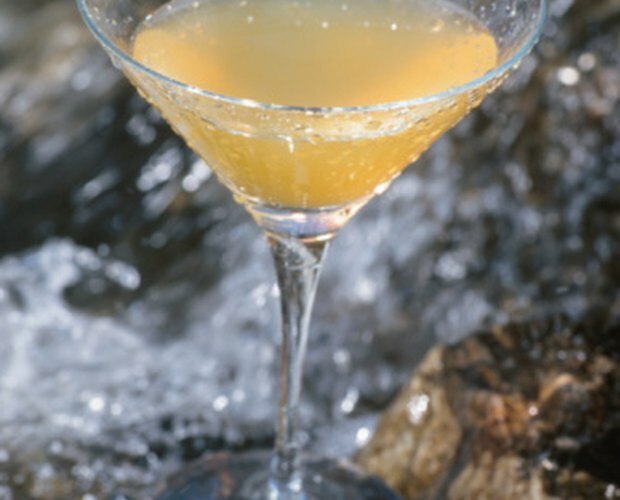 Mix vodka and cranberry juice for a sweet, rich drink known as a Cape Codder. Pour 1 1/2 oz. vodka and 5 oz. 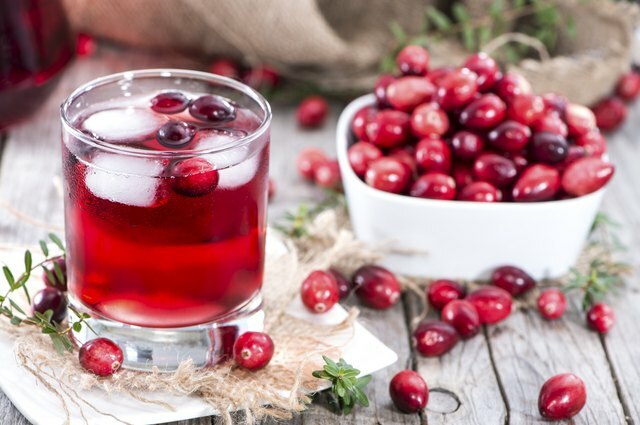 cranberry juice into a highball glass filled with ice. Stir thoroughly and add a wedge of lime for garnish. If you'd prefer a drink that's not quite as sweet, replace 1 oz. of the cranberry juice with grapefruit juice for a Seabreeze. Anika Torrance joined the "Mobile Press-Register" in 1997 as an advertising assistant and quickly moved into the newsroom, where she was a staff writer and copy editor for almost 10 years. She holds a Bachelor's degree with a double major in journalism and history from the University of Southern Mississippi, and completed a Master's degree in English at the University of Alabama in Huntsville.